The average consumer is bombarded with a myriad of advertisements every day, from billboards to display ads. It’s easy for viewers to experience marketing fatigue from uncreative, unappealing advertisements, which is why cute, simple animations are refreshing. Product marketers are taking notice and launching their own animated video campaigns. 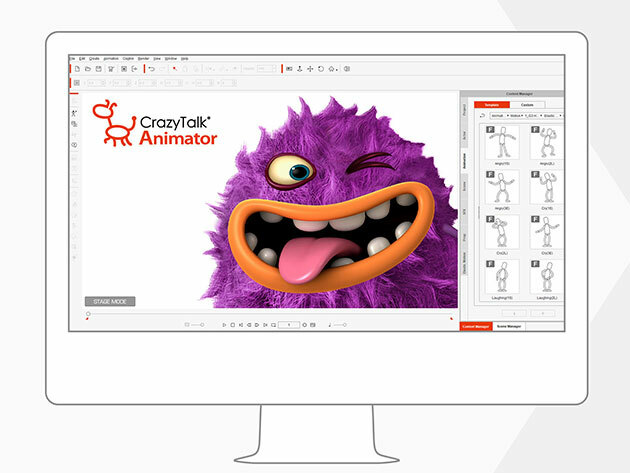 If your business is looking for a competitive advertising edge, it should consider CrazyTalk Animator 3 Pro, which is on sale for 55% off. CrazyTalk Animator 3 Pro is a simple, easy-to-use 2D animation software offering a library of professional motion assets, such as humans, quadrupeds, and winged and spinal creatures, which can be controlled with a bone rig editor. CTA3 uses a timeline with IK/FK motion to edit your sprites and layers, which can then be combined with props and sound effects. Each character uses detailed facial animations, which are automatically lip-synced to your voice over audio. If you don’t have your own audio, CTA3 also offers a text-to-speech feature, allowing your animations to speak for themselves. You can build fun, attractive animations with little-to-no animation experience using CrazyTalk Animator 3 Pro, available in the PCWorld Shop for $79, or 55% off.